Plus a whole lot more features……. Once you have a collection of properly managed drawings and documents, distributing these to your staff become the priority. How many times has a drawing related job been forgotten? Tasks can be linked to a particular documents or as a freestanding job that could be for something that is not already in the system – such as add “XYZ123 documents to the system” etc. The Critical Equipment Register was designed to help manage items a company needs to keep documentation for. Often this is for legal reasons or health and safety but the system can extend to the small and very numerous items that normally tend to fall off the radar and get forgotten. Each Critical Equipment item can be linked to either single or multiple managed documents. Other “unmanaged” documents can be attached to the Critical Equipment items. Examples of these might be Independent Reports or Certifications for Pressure Vessels etc. The Critical Equipment Management System has multiple breakdown options and search functions to allow users to easily find the information they need. Has Inspection sheets that can be made and changed using templates on a massive scale. Has your business ever created a host of documents only for them to require change every few years? The full functionality of the Inspection System is best explained and appreciated with a product demonstration. Isolation guides and procedures are another information pool that needs easy and precise distribution. FifiDocs incorporates a Project System which future proofs your Drawing and Document Management. All future project Drawings and Documentation can be managed throughout the projects life cycle. Once the Project has been completed, the required Drawings and documents can be transferred into the Main Management System. Managing (Construction) Project Documentation is quite different to the day to day requirements of a company. However the need for tracking of Drawings and other Documents is no less important. The Approval Process is of “Paramount Importance”. All of this needs to happen for a number of contractors. The FifiDocs Website is a central environment which provides all the tools and facility required to manage these tasks. These are usually an issue long before the detailed design or construction begins. Tenderers usually have many questions before submitting a price. The Designers will have numerous questions during the design phase. Rather than have countless emails in contractor and company staff email accounts – this could be all addressed in this central forum. All of the RFI’s, and their answers can be accessed by authorised users at any time. Keeping track of the status of punch list items can be a lot of work. Numerous people contribute to the punch list and numerous people have to address the issues. As issues are addressed they need to be updated on the list and accepted or rejected. Someone becomes the Punch List Manager. This roll can consume a reasonable amount of time. FifiDocs Projects System will centralise the management of the Punch List, and allow the relevant people access so they can address the issues. No longer will there be multiple copies of the Defects Rectification List. If commissioning records could be controlled and finalised at the time of commissioning this would save a huge amount of follow up work after the event. This is a Shared Information and Work Environment. Information is available (with restrictions) to the relevant people. Information is available to all parties and is instantly updatable. This information then becomes accessible to all of the main players. FifiDocs has an in built review system to help manage the review process for documents. A reviewable document is a standard document which has been allocated to a Manager and given a review date and frequency. This is to ensure that critical documents don’t go “stale”. Level 1: Manager who ‘owns’ the document(s) and is the only person who can approve them. Level 2: Reviewer who is delegated to carry out the actual work. If the nominated Reviewer has not reviewed the documents by the due date, the review status is escalated and the document Manager will then receive email notifications. The Manager always has total control over the document’s approval. The Work Pack concept is ideal for any Standard, common or routine jobs which may have documentation associated with it. When defining a Standard Job you simply select the documentation that is used to make up that Work Pack. This could consist of Isolation Procedures, Risk Assessments, Work Procedures, Bills of Materials and Drawings etc. The Standard Job entry is a list of all of the individual documents that make up the Work Pack. It is not saved as a combined file. When required, the system gathers up the latest approved versions of the listed documents and combines them into a single pdf document. The advantage of this feature means that you don’t have to maintain numerous large document sets. If you had a document that is part of each and every work pack, updating it once is all that is required to make it current in all of the relevant Work Packs. 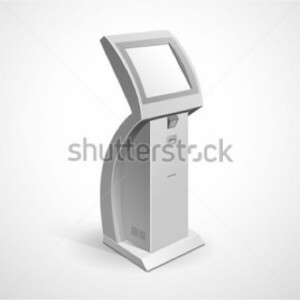 Many clients are looking to the advantages of having Kiosk Terminals spread across their site. These systems are simple and easy to use and are ideal for personnel to access the documentation and drawings required to complete their day to day tasks. Drawing Managers can work with you to develop the right system for your site’s needs. Suitable for use in multiple locations they are water and dust resistant and can be configured to suit your requirements. Functions can include completely touch dependent or mouse and keyboard, printing from the kiosks, marking documents or drawings as requiring changes, accessing sets of drawings and much more. 1. Central Drawing Storage – All personnel know where to go to access their required drawing and where to flag issues. 2. PDF and CAD Version – FifiDocs can manage both CAD and PDF versions of each drawing meaning there is no need for specialised software. This also means when a drawing is updated the PDF version cannot be forgotten. The system also allows for easy viewing and distribution of editable and non-editable drawings dependent on permissions. 3. Searching Functions – An In-depth search function – using both filters and categories – allowing logical breakdowns which suit your company. This reduces the haystack of drawings when searching. 4. Jobs Allocation & Tracking – The Jobs Module is a very useful tool to help manage and distribute mark-ups and reviews. This tool allows for Managers and contributors to create a job and allocate it to a user. A job can be independent of, or be linked to an existing Drawing/Document. When the user is allocated a job they are notified via email and the notification bar within FifiDocs. The Jobs Summary page is available to all users to view all current jobs. 5. Manage multiple revisions – There is no limit to the amount of Revisions which can be managed for each drawing/document. Accessing and viewing them is also easy as the relationship between them is never broken. 6. Create & Manage dynamic books – The Combined Book Dashboards are an efficient way for personnel to download full sets of up-to-date drawings. Once a new version of a drawing or document is approved, all books which use that drawing or document will automatically be updated to use the new revision. This can be handy for Motor Control Centre drawing sets, Mobile Equipment Electrical Drawing Sets, etc. 7. Issue/Discrepancy Flagging – A key part to any Management System. This allows for any user to Flag a drawing/document as requiring attention. During this process the user can add a note of the issue. The drawing will then be flagged with a red background, have its status changed to “Under Change” and the users note displayed. This allows everyone to know the drawing requires review. 8. Red-Pen Mark-Up Attachment – Any file type can be attached to a drawing/document. Often Red Pen Mark Ups are kept on site until there are a number of them at which time they are usually sent to a drafting company or completed in house. This delay runs the risk of misplacing them. Now they can be scanned and attached as soon as they are found, then simply mark the document as under change as per the attachment. As an example if a new PLC unit had been installed, a photo or the manual can be attached to the applicable drawing which can help explain the change. 9. PDF Stitching on-the-fly – Select multiple, individual drawings and download them as single, easy to use pdf document with the simple click of a button. 10. Drawing/Document Commenting – FifiDocs allows you to attach notes to drawings or documents. Perhaps a drawing requires it’s history explained or the original change note was too brief. 11. History – Accountability – A detailed history allows personnel to be held accountable – seeing who has done what and when. All changes are logged and traceable. 12. Asset (Critical) Equipment Register – Critical Equipment Management is commonly legislated and often requires extra work to manage. Our system has a register designed specifically to help make this task simple. 13. Approval/Rejection System – An approval system is essential in a document management system. It prevents non required documents and drawings being entered into the system, minimises structure changes whilst still allowing multiple personnel to be able to add documents/drawings to the system. 14. Create/Reserve Drawing Numbers – FifiDocs allows for drawing number reservation – individual or series of numbers. 15. In-depth Report System – This allows managers to review how the system is being used and by who. There are a number of reports available to users. 16. Sophisticated Inspection System – Allowing customised breakdowns and setup. The system links with templates for easy updates of whole sets of inspection documents with the change of just one template. Inspection sheets can be scanned in batches, then automatically split up and attached to each item inspected, thus minimising manual filing time. 17. Self-Managing – Where possible the system will manage itself. Closing out changes after jobs are complete, auto filing inspections, escalating overdue reviews and sending email reminders. 18. Schedule Review System – This is designed so documents and drawings don’t get out dated or go stale. Drawings can be locked in for review at set periods of time – this is a very dynamic system with a number of optional ways to set it up. With possible separate reviewers, approvers, time frames and start dates for each document and drawing. 19. Email Notifications – FifiDocs can send a number of Email notifications. Some being: Job Allocated, Job reminders, Review position selected, Review near due, due or overdue and document approval/rejections. It also allows users to send drawings via email straight from the system. 20. Import/Export Functions – The system allows for a multitude of imports and exports to allow administrators to edit data easily in large quantities. Drawings can also be imported and exported in large quantities. 21. Access/Permission Levels – Different user permission levels allow for different abilities and accountability. Lower level users get access to less tools and functions and only the non-editable pdf versions of drawings and documents. Individual users can be granted access to or be locked out of specific sites. 22. Linking Project System – FifiDocs has an inbuilt system for Managing Project drawings. When the project is completed the drawings can be transferred into the main FifiDocs system. 23. External System Friendly – The managed Documents/Drawings can be accessed by other systems such as Pulse and SAP. Revising a drawing or document does not break the link (For onsite installs). 24. Reminder Notifications – The system will notify you (via the notifications bar) of how many drawings you have rejected, awaiting approval and Jobs etc. minimising tasks being forgotten. 25. Easy Revision Rollback Facility – If a new revision is found to be incorrect, rolling back to the previous revision is an easy task for personnel with the applicable permissions. 26. Mistake/Deletion Resistant –Permissions to delete are only given to higher level users. From here there are still a number of stops in place to minimise the ability of permanent deletion of drawings and documents. 27. Register System – Registers are often important documents for organisations however it is important that everyone has access to the most up to date version. Often there are multiple copies in different locations at different levels of completeness. Having all registers in the one place complete with history information and search functionality makes for easy management. 28. Simple Structured Drawing Addition – A problem with managing any system is every user has a different understanding and ideas about drawing management. This often results in different file naming and storing conventions. Our Addition system helps to minimise the effect of different users. 29. Individual User Accounts – The system uses individual user accounts. This allows for managers to control specific users to different areas and not others, suspending user access and with individual contact information – easy understanding who has done what and how to contact them.